Something standing out to me right now is the idea of how quickly things can and do change. This is not a single moment, nor is it news, but it is an idea that is becoming increasingly more important to me: how much change occurs, how receptive or resistant we are to change, what we do with the change; where the change originates, and what other changes it creates. Changes with technology, especially, are happening quite quickly these days. These rapid and disruptive changes have a huge and immediate impact to the field of education, and our society in general. (Keep in mind that the first iPad was only released in April of 2010 and the first Chromebook in June of 2011...and now it’s difficult to imagine schools -- and museums and doctors’ offices and car dealerships -- without them!) Not everyone responds to these changes in the same way, so change and growth (or the lack thereof) are ideas that I’m sure I will be reflecting and focusing on for a while. Q2 Who or what inspires you as an educator? Education is not an easy field. Many people who get into the field of education don’t stay for long, because teaching is extremely hard work and there are new challenges all the time. What inspires me -- and what keeps me in this increasingly demanding field -- are my students. Helping my students to view themselves as learners, set and achieve goals, become impassioned to try new things, and share their ideas and talents with others is what keeps me in this field. Now that my role includes working directly with other educators, they are inspiring me as well. Their goals are my goals, and we are working to accomplish them together. Integrating new uses for technology became a part of my teaching practice when I was a novice teacher and was looking for ways to motivate some very, very disengaged students. The actual devices and sites that we used were really secondary to the goal of increasing engagement and empowering my students as learners. Being receptive to new ideas and new ways to engage my students has always been at the core of my practice. I try to make sure that my students understand what we are learning and why, and that they are a part of the process. We all need to understand how something is relevant to us, both as individuals and as part of a community or society, in order to really learn. I guide my students in putting ideas in their own words, setting goals for themselves and monitoring their progress, reflecting on their learning process, and taking control of their own learning. Technology is a great way to personalize and differentiate learning. When students choose to use a device or a certain app or website, they are making decisions about their learning process. I read a lot. (I prefer actual books, but also read magazines, ebooks, and online journals.) As my career has evolved to not only teach students, but to also assist and provide resources for colleagues, I’ve found that it is helpful to follow ideas from all fields and disciplines. I pay attention to how events are organized when I attend them and the way that information is shared with me. I watch how traffic patterns on highways change over time and which products are displayed in stores. I notice how my bank updates their mobile app and how the convenience store implements new ways to order sandwiches. As I encounter new ideas and experiences, I tend to think about how those ideas can translate to the classroom. I think of my students, their interests, their struggles, and I see if there are connections that can be made. For me, the greatest sources of tech-sploration are usually conversations. I love talking with people about the goals or tasks they are trying to accomplish. I love brainstorming with them -- whether students, other educators, or individuals outside of the field of education -- about what they’ve already tried, what worked and what didn’t, what else there is to try. There are new technologies developed every day. There are new ways to use old technology being explored all the time. I believe that we learn from our experiences as well as the experiences of others and that by sharing ideas and resources, new ideas emerge. Many, many new things are coming this year! For starters, I’m going to be working at the high school level for the first time. Most of my teaching career has been at the middle school level, and so it will be exciting to work with an older population of students who are more independent, already identifying areas of concentration, and thinking about their futures beyond high school. It will be especially fun for me to work again with students that I taught back when they were in 7th grade! As an instructional coach, I will be working alongside other educators from all content areas. Our work will be focused on developing, collecting, and cataloging best practices and resources for facilitating future ready classrooms. I will also be starting a new graduate program this fall, studying the concepts of creativity and innovation. My work will include exploring how the habits and practices of creative and innovative people, in many different fields and all parts of the world, can be translated to the field of education. I’m excited! 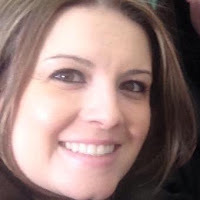 Melissa Morris Inoa is a Teacher Resource Specialist for Technology and Instruction in New Jersey. She works alongside teachers to integrate technology into instruction in meaningful and relevant ways. She is a proponent of the growth mindset and innovative practices. Melissa is also a former special education and language arts teacher, teaching since 2005. She is currently studying Creativity and Innovation at Drexel University and has a BA in English from Rutgers University and a MA in Inclusive Education from Georgian Court University. She holds a Supervisor certificate as well as certificates of instruction in Elementary Education, Teacher of Students with Disabilities, and Literacy/Language Arts. You can connect with Melissa online through her blogs: https://melissamorris.wordpress.com/ and https://todayinschool.wordpress.com and on Twitter (@mmorriswrite).